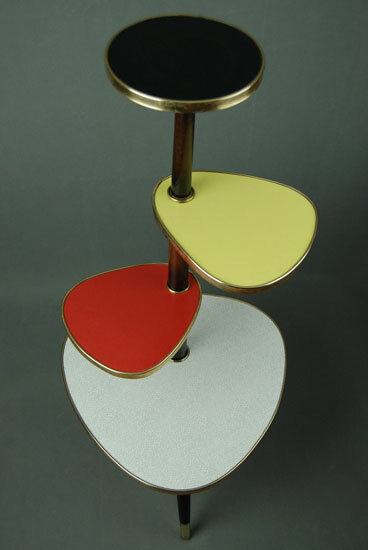 These can be a bit hit or miss, but we think this colourful 1950s midcentury plant stand on eBay is a firm ‘hit’. 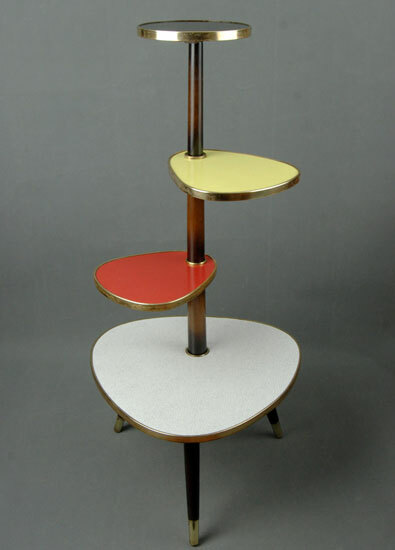 This is listed as an original 1950s stand (there are some later copies), one with a wooden main triangular table that is finished with a white Formica top and gold plastic rim, along with three removable and angled wooden feet finished with brass caps and three small platforms, with Formica tops in black, yellow and red respectively, each with gold metallic rims. The images pretty much tell the story here, more of which are on the listing. 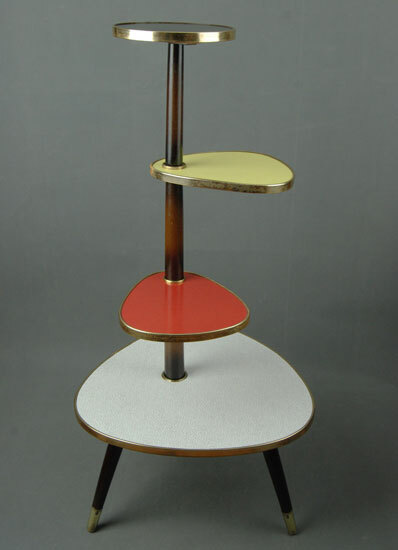 Condition is down as ‘excellent / very good’ and the price right now is £185. 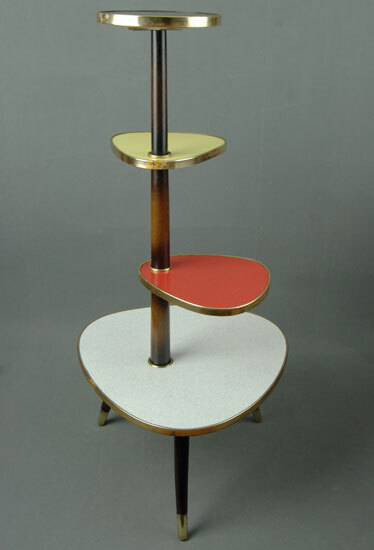 if you have a 1950s theme going on, this is pretty much a perfect finishing touch.